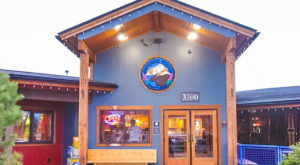 At this Anchorage eatery, you can get the biggest cheeseburger in the state! 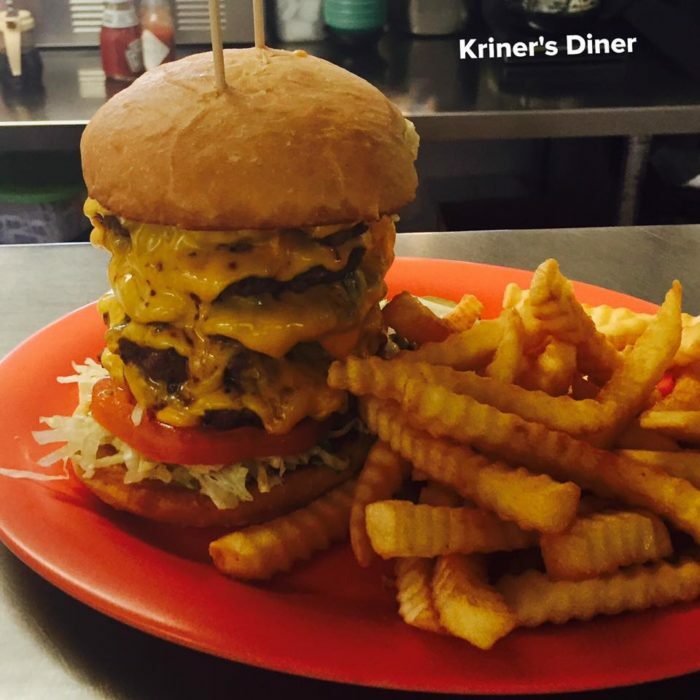 It takes a pretty incredible amount of work to make a cheeseburger as big as your head, but the folks at Kriner’s Diner take the time to create this amazing cheeseburger. Order it straight off the menu, anytime, to share with family or attempt the challenge solo. 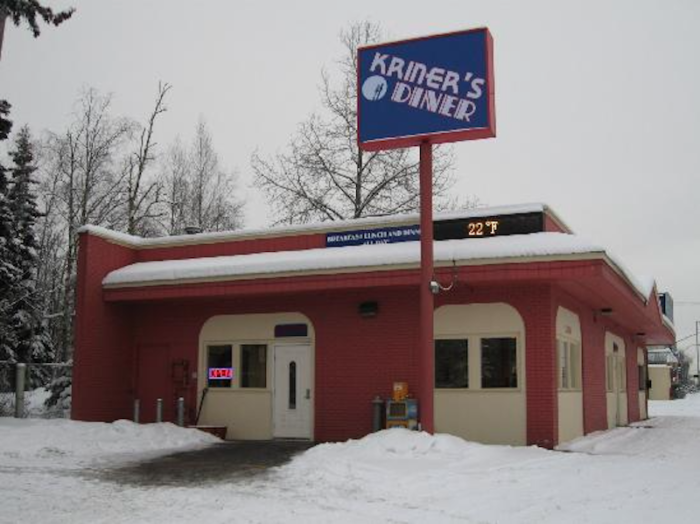 Kriner’s Diner, 2409 C Street, Anchorage. Interactive Map Here. 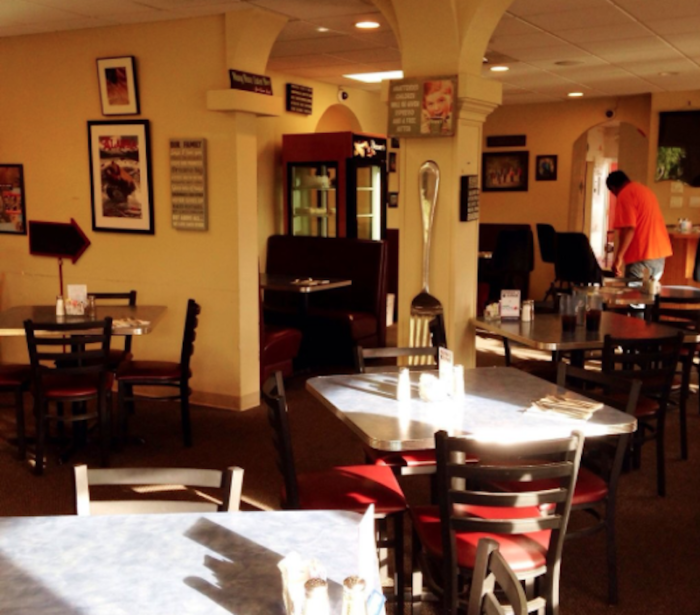 This diner is family owned and operated. 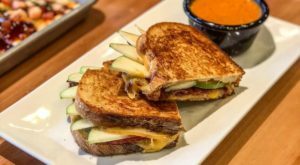 They serve delicious American comfort food in a cheerful, homey atmosphere. 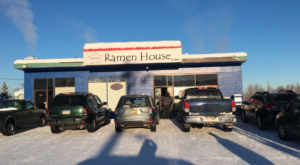 Head to this diner for the biggest cheeseburger in Alaska. 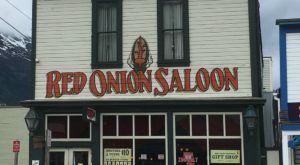 They serve up all kinds of burgers on their menu, including lots of unique daily lunch specials. But the enormous cheeseburger pales in comparison to all the others. 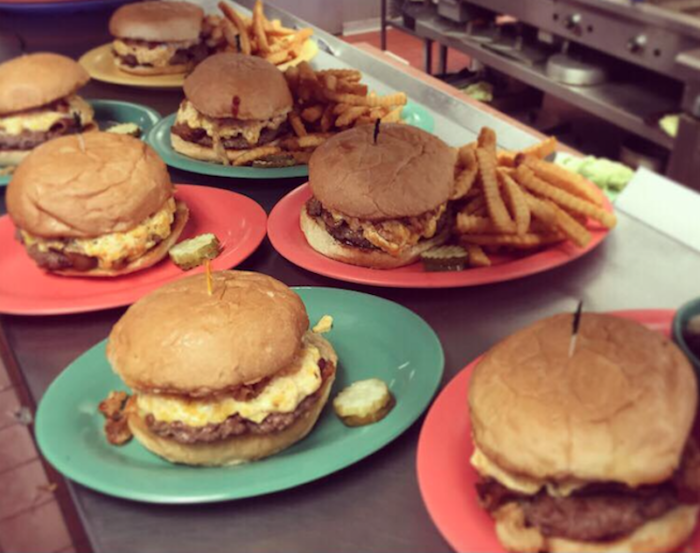 The 2 pound burger is served on a special ten inch bun and has eight pieces of cheese. 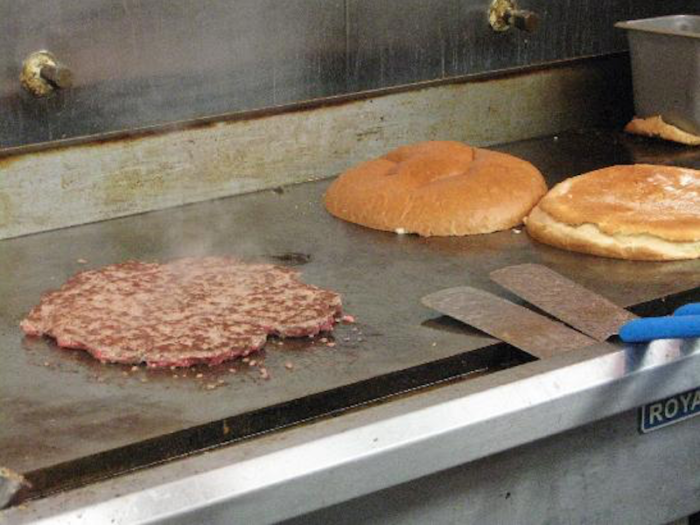 Cooked on a classic flat grill, the smell of your giant patty cooking will fill the restaurant with mouthwatering anticipation. The "Kriner Family Burger and American Fries" is served with piles of shredded lettuce, onion, tomato, and special house made sauce. This monster can be shared with everyone, or chowed by one brave soul. 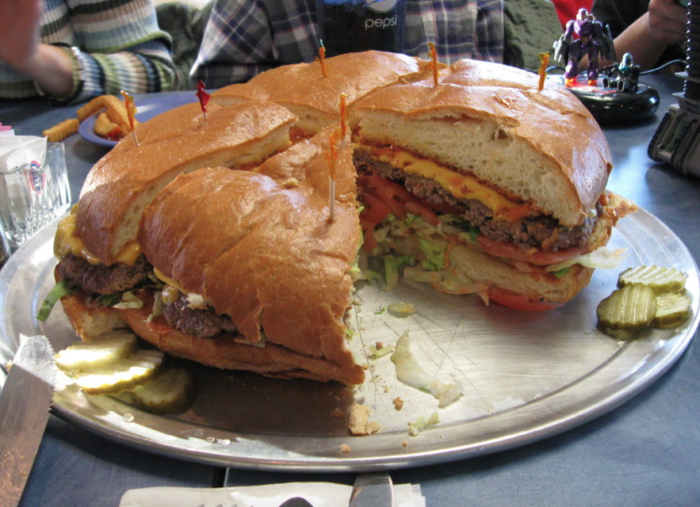 The giant burger is served with a full pound of American fries. This All-American delight is for the super hungry, but still maintains the savory flavor standards of the smaller cheeseburgers. 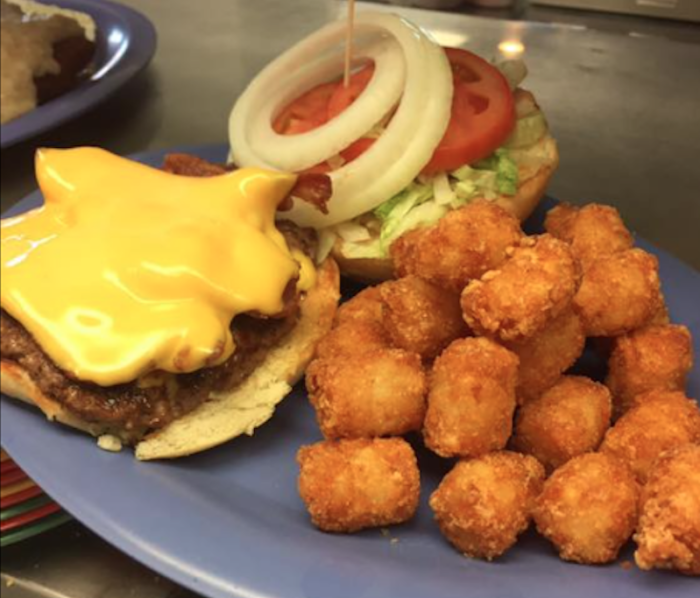 They also have tater tots as an option for your potato side. 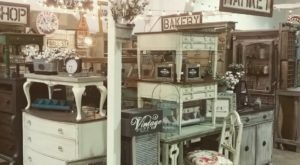 Complete the family dining experience with pies, milkshakes, and all the diner favorites you love. If you manage to eat the whole burger in 45 minutes without help, you get a teeshirt and your picture on the "Wall of Fame." You'll love this Alaska-sized cheeseburger for a serious Alaskan appetite. 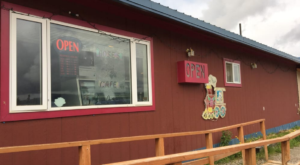 If you like burgers, check out Everyone Goes Nuts For The Hamburgers At This Nostalgic Eatery In Alaska. 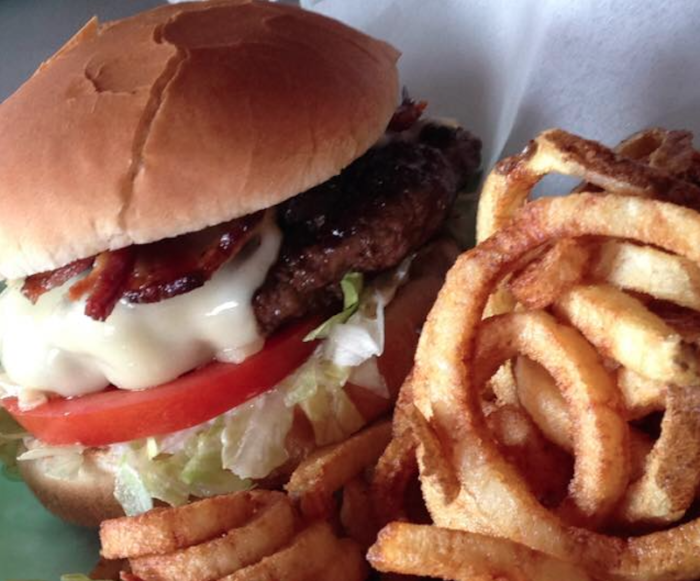 You may also like These 7 Burger Joints In Alaska Will Make Your Mouth Water. 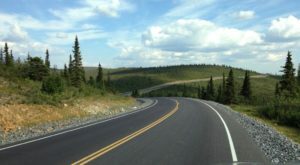 Have you been to Kriner’s? Tell us about it in the comments below. 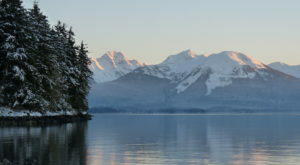 A Recent Report Found Alaska Was The Most Dangerous State In The U.S.